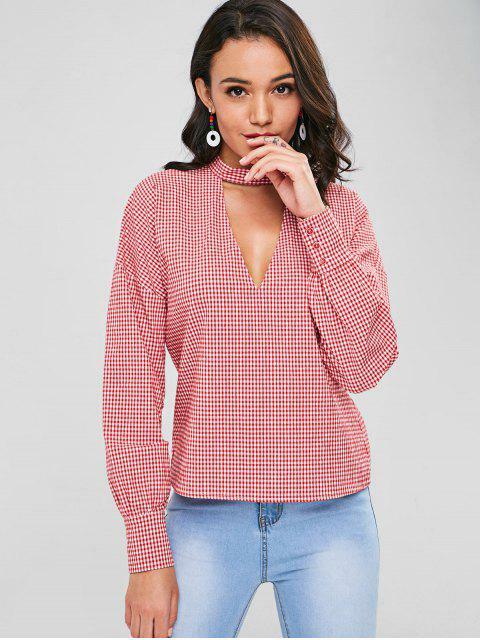 [33% OFF] 2019 Choker Gingham Top In LOVE RED | ZAFUL .. This long-sleeved top is an updated piece for your patterned top collection. 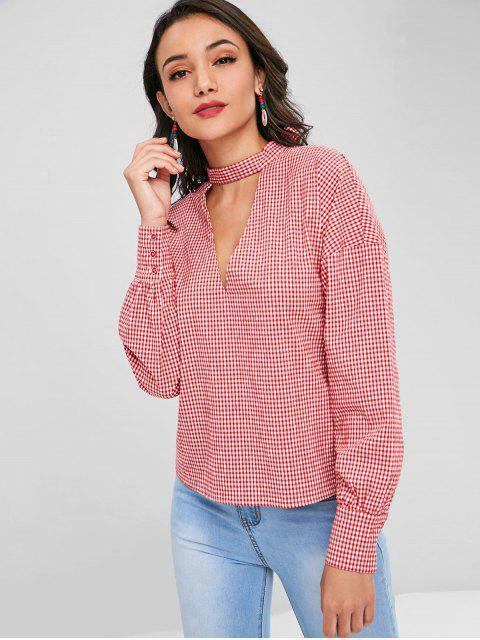 Accented with a soft, dreamy gingham pattern throughout, it is the classic choker style that has a little flirt with its knotted accent at the collar of the back to create a triangle cut-out detail. 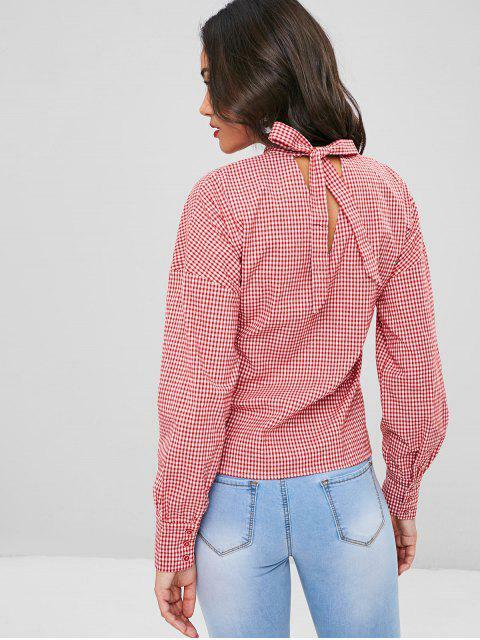 Buttoned cuffs end the look.